Selling your car is a relatively simple process but there are certain forms and items of paperwork that must be completed correctly for everything to go smoothly. If you’re not sure which documents are needed when selling your car, don’t worry, you’re not alone. We’ve put together this straightforward guide for anyone who’s not 100% clear of what’s required. It’s advisable to gather all this information together as your first task when you decide to sell your car. Whether you’re selling privately, to a dealer or through an online car buying site such as Top Deals 4 Wheels you are going need these documents. The V5C document, also commonly referred to as the log book, shows who a vehicle is registered to and there address. The V5C also shows who is responsible for registering and taxing the car but does not state who owns a vehicle. For more details, you can visit the GOV.UK. A cars service history is a collection of paperwork that tells potential buyers what work has been carried out when it was completed and by who. Included in this would ideally be a service book showing when each service has been carried out with an accompanying garage stamp. The vehicles service history is important as it gives buyers an insight into how a car has been cared for. It also highlights any major repair work that has been carried out and provides reassurance that the car’s mileage is accurate. The lack of a service history or an incomplete record can impact a car’s value by as much as 10%. An MOT certificate informs a buyer that a vehicle is roadworthy and safe to drive. 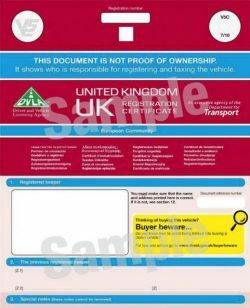 When selling your car the current valid MOT certificate it was one of the most important documents you will need. If you’ve lost your MOT certificate it is possible to order a new one from any MOT test centre. Expect to pay in the region of £10. 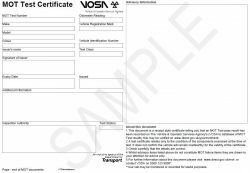 For more details on the process of replacing a lost or damaged MOT certificate visit the GOV.UK website. If you have saved them, it’s also good practice to provide the seller with all old MOT certificates. These can be combined with your servicing records to help build up a clear picture of the vehicle’s history. If you still have any questions and would like to speak with an expert our helpful and friendly team are at hand. Simply call us on 01773 279361 or send your query via our contact form.